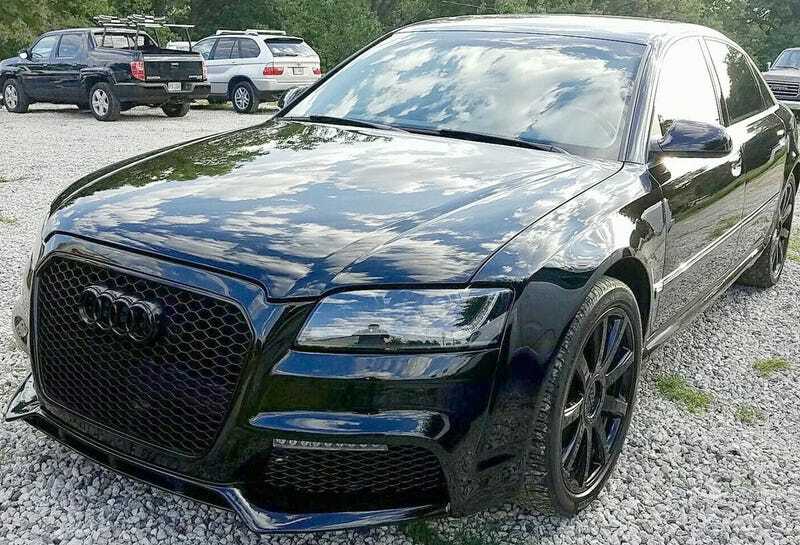 At $25,000, Could This 2006 Audi A8 W12 Executive Be Your Stealthy Super Saloon? Elmer Fudd’s always pronounced his ‘Rs’ as ‘Ws,’ and would no doubt love today’s Nice Price or Crack Pipe Audi. It rocks both luxury accoutrements and a “W”12 engine. That is of course, unless its price proves to be cartoonishly too high. Have you ever thought about how many great cars there are that have been named after bugs? No, I mean really thought about it? Just off the top of my head there’s Lance Reventlow’s Scarab, various forms of Spider/Spyder, and the Dodge Super Bee. And of course, one of history’s most important cars, the Volkswagen Type 1, which earned the nickname ‘Beetle’ for its iconic curvy shape. Yep, bugs are d’bomb when it comes to cool car names. Yesterday we had just such a cool bug car, a 1976 Lancia Scorpion, which offered for sale up in Vancouver. It really brought home the Canadian Bacon at its $15,000 price tag too, earning a respectable 55-percent Nice Price win, and making it super fly. Volkswagen’s most famous offering may have been nicknamed for an insect, but it pretty much stopped there. In fact, Audi, their up-market brand, doesn’t even use names for its main model identifiers, they use alpha-numeric designations. The top of that letter and number jumble is the A8 and the top A8 is the car represented here, a 2006 A8 W12 Executive. This is a rare edition of a rare car making it… dare I say, pretty rare. The basic car is a long wheelbase edition of Audi’s D3 all-alloy platform. A lot of folks think that the contemporary VW Phaeton and Bentley Continental GT wear the same underpants. In fact, that dynamic duo rides on a steel architecture. The big Audi stands alone in its all ALCOA glory. The engine however, is a family affair. The 5998-cc twelve cylinder was also offered in the Bentley and VW’s abortive attempt at uber luxury. The W12 is a unique engine as it’s a pair of VW’s narrow angle V6s joined to a common crank and man-spread 72° from one another. The big mill pumps out 450 horsepower here, and offers up an equally impressive 428 lb-ft of torque. A ZF six-speed backs up the W12 and power gets delivered to all four wheels via Audi’s vaunted Quattro full-time system. That gets a Torsen center diff with a 50/50 torque split front to back. Audi’s Adaptive Air Suspension underpins. Overall, the car is complicated as heck. This one, in black on black rocks the Executive Package, according to its seller. That switches out the rear bench for a pair of Barcaloungers and a wide center console. Those adjustable rear seats make this Audi a full-on massage parlor on wheels, and the leather and walnut upholstery sure makes it a lot nicer than any stationary rub and tug place you might find. It’s pretty nice up front too, and the interior seems to have held up well over the car’s 12 years and 89,000 mile life. Outside things are a little funky. The seller says that the nose has been ‘upgraded’ to a 2017 look. That doesn’t seem to be the result of major damage as he claims to still have the original schnoz. The title is also said to be clean. Other anomalies include the wheels which are bright deep dish aftermarket affairs in one pic, and black-painted factory units in another. Also, the engine pic shows a bright grille surround so perhaps it was taken pre-rhinoplasty. Despite the minor inconsistencies, the seller claims the car to be ‘IMMACULATE’ and considers this to be ‘THE ONLY EXECUTIVE W12 FOR SALE,’ at least that he can find. Those are compelling advocacies in this Audi’s favor, and should you be considering an executive class car, this is a fairly unique representative of the faith. The price tag is $25,000, which the seller juxtaposes against the $163,000 cost of a 2018 D5 A8. To be honest, with the later grille and blacked out trim, I don’t think many regular folk would even be able to tell the difference. They would marvel at that W12 badge however. To be that marvelous, you’d still need to come up with that $25,000, and it’s now time for us to all decide if we think that’s worth doing. What’s your take, is this A8 worth that kind of change? Or, is this a W12 with a price even Elmer Fudd would find wee-diculous? Atlanta, GA Craigslist, or go here if the ad disappears. At CAN$15,000, Would You Willingly Be The Frog To This 1976 Lancia Scorpion? 1984 Audi 5000 Turbo for an Olympic $19,500!